It really is the year of nostalgia; Between the Spice Girls, Westlife and Carrie Bradshaw, it's clearly comeback o'clock. News recently broke that one of the biggest legends of the early 2000s is making a musical return, with her sophomore album expecting to be released before the end of 2019. That's right gals, it's only SAMANTHA MUMBA. We've all got more than fond memories of tunes such as Gotta Tell You and Always Come Back To Your Love, and soon we'll be hearing brand new music from the versatile singer. We sat down for a chat with the woman herself, and once our starstruck fever calmed down, we managed to ask her a few questions. There have been whispers of musical comebacks for many years now, considering her first album Gotta Tell You was released back in 2000 when she was only sixteen-years-old. While the rest of us were figuring out creative ways to abandon school for a few hours and day-dreaming of Zack Morris from Saved By The Bell, Samantha was making CHUNES. So why choose now to release her long-awaited album number two? Samantha is a woman of many talents, trying her hand at Masterchef in 2017, as well as appearances in Dancing On Ice and on ITV's Loose Women. Needless to say, her fans are EXCITED. Just found out @samanthamumba1 has a new album coming out this year. Damn right she was. Samantha's popularity with a range of audiences and people of all ages has to be noted, but why do so many listeners seem to relate to her? Samantha still returns home to Dublin fairly regularly, and her little daughter Sage calls it her home too. We wondered if she had stayed up to date on Ireland's current homelessness crisis? “It’s scandalous, it’s absolutely shocking. That’s why I thought this Just Eat campaign was just such a no-brainer. I’d love if they could double what they did last year, which in itself was incredible. Even especially being home at the minute, and it’s so cold, you just think, ‘Oh my God’, it’s not right. There’s a lot of young kids that are homeless, and it’s heartbreaking. Being a mother now myself, it’s just awful. You never know what goes on in someone’s life, it can happen to anybody, you just never know what kind of bad things could come somebody’s way. It can happen to everybody, and everybody should chip in," she says. 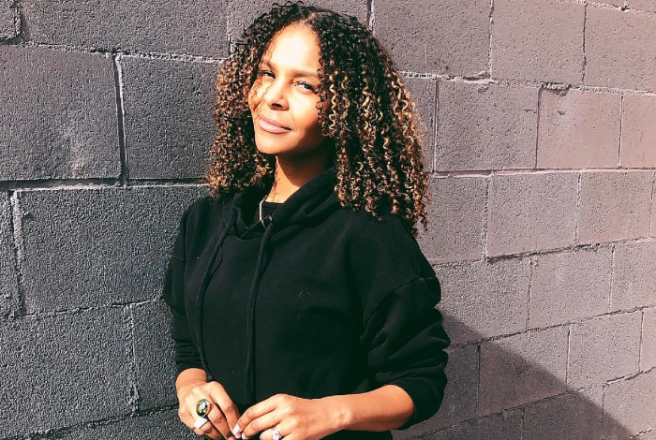 Samantha Mumba's Gotta Tell You about National Takeaway Tuesday! She's partnered up with Just Eat this year for their annual National Takeaway Tuesday to raise funds for the Peter McVerry Trust, who do vital work for the homeless. To date, Just Eat customers have generated over €50,000 for the Peter McVerry Trust, enough to move five people out of homelessness and into better futures. Samantha comments; "This takeaway campaign is perfect, because you can order food on a Tuesday, get a 10 percent discount and chip in 10 percent to 2019’s Just Eat charity of choice, the Peter McVerry Trust. So you’re doing something good." Does she notice the homelessness which is also prevalent in Los Angeles too, while she's spending her down-time there? “Again, who am I to talk about anything, but there are definite areas. Santa Monica area and Downtown area, what I find is that a lot of the problems there are mental health. These people should be in facilities, in LA for me I notice, it’s a lot more of that. Whereas here, it’s more people who are getting a bad run of things. It just seems to be different circumstances, I suppose," she emphasises. ‘Nightmare before Christmas is her thing. We listen to that soundtrack, and I love it as well, so it’s great. Sometimes she said, ‘I wanna hear mummy’s songs’, she approves of the new songs, thankfully. She’s very sweet, but other times she’s like, ‘Ok, back to Disney’, she laughs. In terms of teasing some collaborations in the pipeline, she's revealed a song with MNEK has been created, and we are SO HERE for it. The artist is known for working with some of pop's biggest names, among them are Dua Lipa and Zara Larsson. Is there anyone she's especially got her eye on, in terms of new female talent? “I just discovered her and I’m obsessed, it’s Donna Missal from the US. She’s incredible, I love her." Samantha is 36-years-old, and time has only given her even more glamour, wisdom and thick-skin for the tough music industry. My new music is pop R’N’B, it’s current to where I am, I’m a grown woman who’s lived a life. I have a lot of things to say. I’m just expressing them, and hopefully other women will relate to it." Samantha is the newest 2019 mood; let her reign begin anew. The early noughties WORSHIPPED the French manicure, and all of a sudden we're seeing a major comeback. 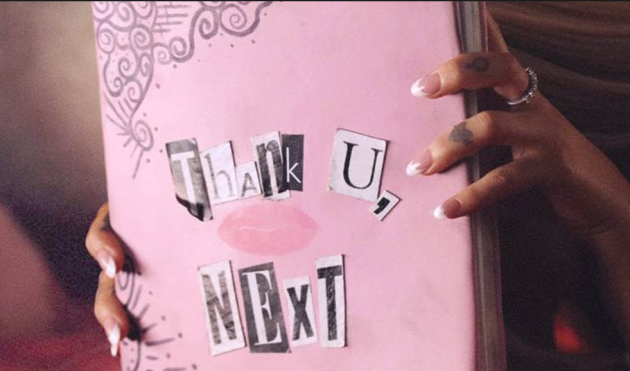 Between Ariana Grande using the trend as part of her iconic 00's chick-flick themed Thank U, Next music video, and Ocean's 8 featuring the nail art, fashion has taken a turn. White-tipped nails were huge back in the day, everyone who was anyone sported the chic style craze. Heiresses such as Paris Hilton and Kim Kardashian West aided the movement. The trend appeared to die by the time 2010 came along, with those in the ensuing decade calling it cheesy and (*gasp*) TACKY. The tide is turning, because the nail style is appearing everywhere from red carpets to fashion shows, from celebrity appearances to music videos. 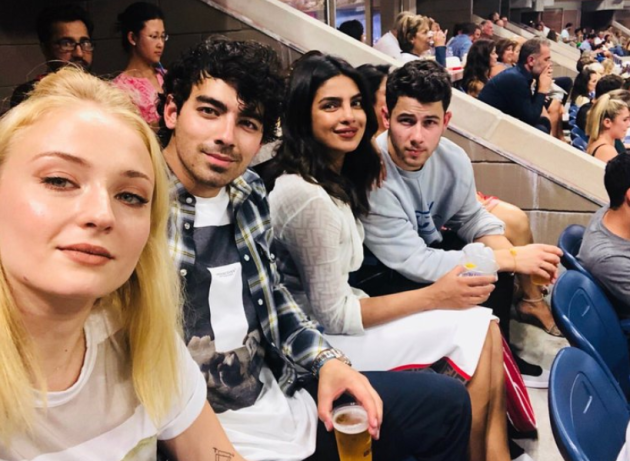 We're seeing massive 1990s comebacks, from bands such as the Spice Girls and Westlife as well as reboots of popular TV shows and movies such as Sabrina. It makes sense that nails should follow fashion and popular culture, and we're SO ready to whip out those white tips. "Fashion has taken a '90s turn from influence, so of course the trends have returned from that era. I'm enjoying the new modern twists, maybe because it comes from my era." "How you approach the modern take is vital; the nail shape should be a ballerina, not a square. If it's not done right, it will become 'basic'," she commented. Are you ready to WERK the trend, or do you think it should stay in the 2000s where it belongs? 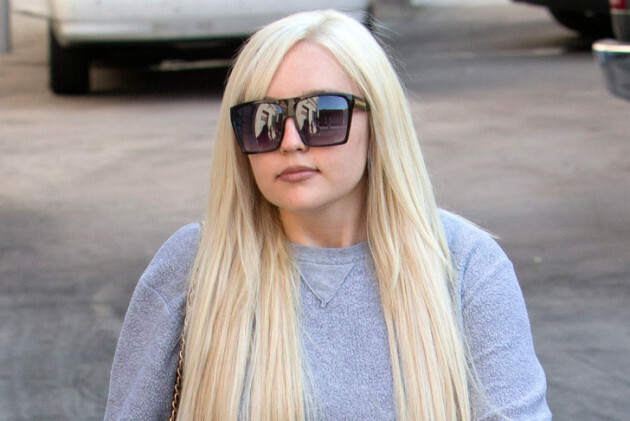 Having grown up as the star of her very own self-titled Nickelodeon show, Amanda Bynes is no stranger to the spotlight. Her successful television career opened doors to the movie industry with the actress starring in a number of teen rom-coms in the early 2000's including She's the Man and Easy A. Now 31, the star's acting career was put on hold in 2010 after her return to education was followed by a string of mental health issues. But now the actress is reportedly back in a good place and is even planning to return to the screen (big or small) in 2018. This isn't the first time Amanda has hinted at a return to acting. Earlier this year, the star gave her first interview in over four years and revealed her desire to get back in the game. "I do miss acting, and I have something surprising to tell you: I want to do TV," she said. "Maybe a few guest spots on some shows that I'm a fan of and maybe another TV show where I'm the star of it, in the future. That's what I hope." The Amanda Show 2.0, anyone? Much like Von Dutch hats, UGGs and Kelis's Milkshake, flip phones live on in our hearts and minds as an iconic piece of 00s culture. The now seemingly ancient artefacts were the must-have gadget of the 00s era, with every celeb worth their salt rocking a snappy flip phone with their Juicy tracksuit. Bonus points if it was bedazzled in crystals. Last year, Motorola announced that they were bringing back an updated version of their beloved Razr phone, and now Samsung are following suit. The Samsung Galaxy Folder 2 is here to make all our Simple Life dreams come true. As you can expect, the phone has a sassy flip mechanism, comes in metallic pink and purple and has 16GB of internal memory and an 8MP main camera. As well as having all the throwback features, the phone will also be adapted to today's social media savvy age, with a 'social app key' that allows users to easily access their social media accounts through the touch of a button. There will also be a a 5MP selfie camera. 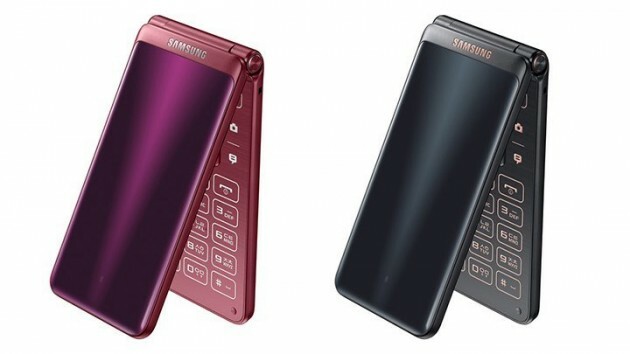 Samsung has actually continued to sell their original flip phones since the 00s, but their only market was in South Korea. The Folder 2 has been released in both Korean and Chinese markets, but no word yet on its European release date. Fingers crossed it's coming up soon, because these beautiful bad boys would be the perfect respite from smart phone saturation. 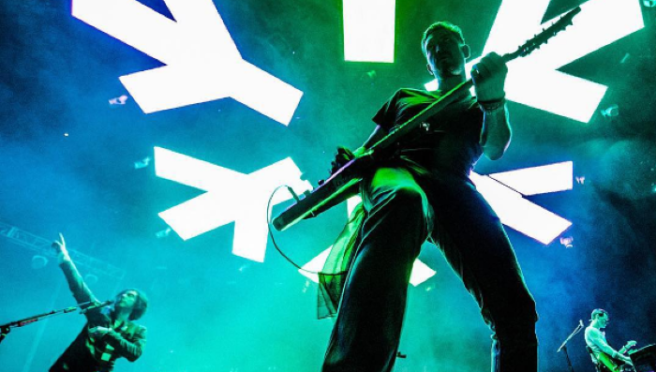 Snow Patrol are officially making a comeback! The band members have been working on solo projects for the past six years, but now they have their mojo back as a collective. The Northern Irish quintet are working on a new album, and lead vocalist Gary Lightbody took to Instagram to update fans. "For the folks asking about the new snow patrol album, #SP7. here’s the news. we had a breakthrough recording session in feb and are on the home straight," he said, captioning a shot of the new album's song list. "The awesome Jacknife Lee is in the producer’s chair as usual and we have more time with him in the studio in May/June and will be finished at the end of June." "Hopefully that gives us plenty of time to bring the album out this year. That is the plan. Plans are fallible but we'll damn well try our best." "There have been a few false starts so I didn’t want to post something until i knew we were on the right track. We are. It’s sounding mighty. "I’m very proud of what we’ve done so far and cannot wait for you all to hear it. thank you all for your patience and support." "Six years is a bloody eternity between albums we know so the fact people are still asking when it's coming means a lot to us. We’ll post updates from the studio from late may onwards," finished the post. 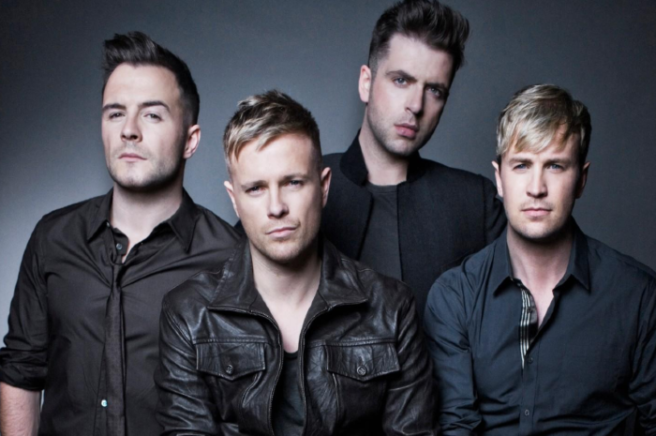 We're delighted that the lads are making a comeback, and we can't wait to hear the album this year. 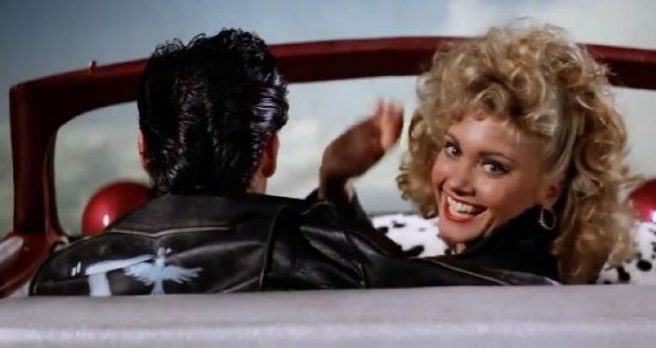 It's looking like Olivia Newton-John and John Travolta are in talks to bring back Danny and Sandy – and we're a little bit over the moon. Olivia has confirmed that the pair are chatting about plans for a 40th reunion next year, but she's keeping her cards close to her chest. Speaking at the Fame Awards at the Hard Rock Live in Las Vegas, where she won the Icon Award, Olivia said: "We are thinking up ways. Nothing to announce yet. According to The Mirror, the Fame Awards producer, Al Browman, said about Olivia: "To hear that she is returning as Sandy with John will be a huge deal for the world. "It will be a huge deal. We would welcome them performing at next year's Fame Awards." We're getting waaay too excited for this. Say you will, say you wont! 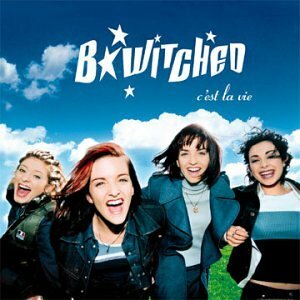 To celebrate the 20th anniversary of their hit single Ce'st La Vie, iconic Irish girl band B*Witched are making a comeback. The 90s band are releasing some new music in the next 12 months, and we actually can't wait to discover what 20 years of life experience have awarded the girl's musical abilities. 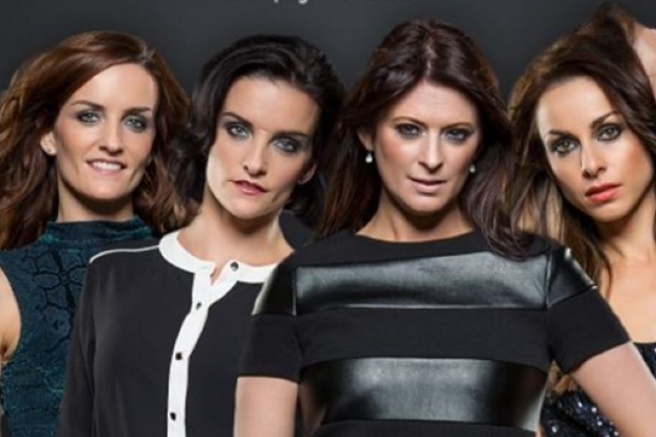 Edele and Keavy Lynch, Lindsay Armaou and Sinéad O’Carroll are plotting a return to the Irish music scene in 2018. 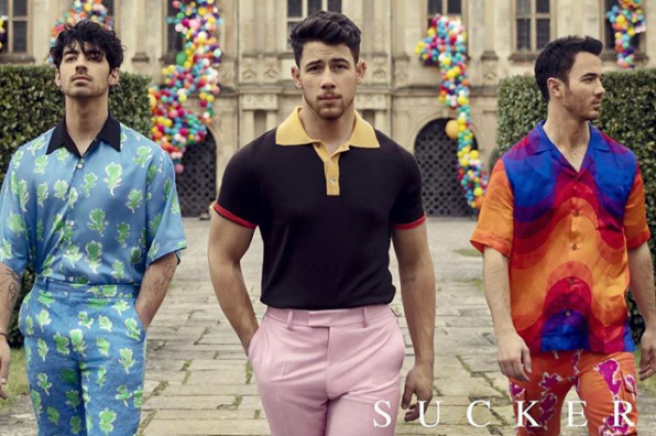 "We’re not going to try to tap into what we were because that’s nostalgia and the music industry has moved on as much as we all have… we’ve updated it so we feel comfortable with it,” the band told The Irish Star. 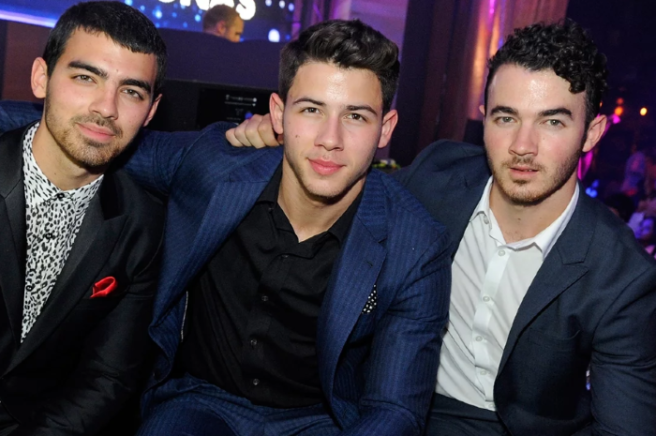 “We’re going to be what we are now musically and what we feel now." While the four women may want to move in a new, more mature direction with their upcoming music, we can't help but feel a little nostalgic about the whole thing. But hey, c'est la vie. Will & Grace was one of those fluffy, heart-warm, easy-watching TV shows. We loved the characters just as much as our own friends, and one man who hasn't changed a bit is Jack McFarland. 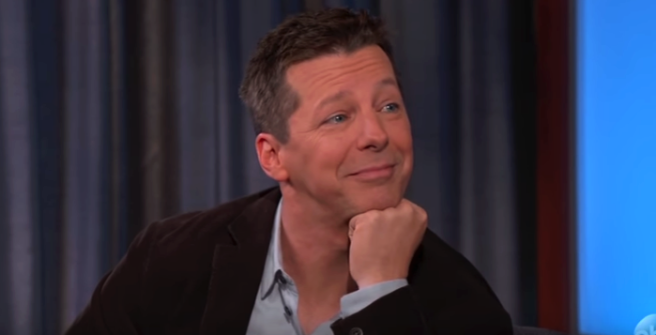 During an appearance on Jimmy Kimmel Live, actor Sean Hayes spilled the beans about the beloved comedy. After 11 years being off-air, the cast came back together last year, creating a campaign episode for the election, and that's what spurred the revival. "NBC just thought, 'wow, this is actually working! Why don’t we do it again? ', and we were all like, ‘Yeah!’ We had a great time together.